ICS Industries is the leading provider of telecommunications equipment shelters and related infrastructure services to mobile and fixed networks across Australia. Having more than twenty years experience, ICS is also a major supplier of fully engineered transportable buildings to mining, industrial clients and government agencies. The ICS product range includes metal cabinets and enclosures, switch rooms and specialized buildings that offer ballistic rating or passive cooling. Our expertise in electrical design and factory fit-out, Cooling Systems and Environmental Management Control will ensure that you receive the best available product to suit your needs. We also offer factory installation of customer-supplied equipment by certified technicians. This ensures a consistently high-quality delivery direct to site, alternatively, you can choose to purchase the equipment shelter and manage your own installation. We pride ourselves in keeping abreast of industry trends. Factory fit-out is just one component of our full turn-key solution. This encompasses design & engineering, manufacture, delivery, and installation on site including civil and electrical work. With our headquarters based in Thomastown, Melbourne and State Offices in NSW, Qld, SA and WA, we support all areas of Australia, no matter how remote. Our broad range of capabilities is spread across four major divisions, enabling us to provide maximum value at every stage of a project to deliver the ultimate in custom designs and construction quality available for large and small scale roll-outs with precision results. 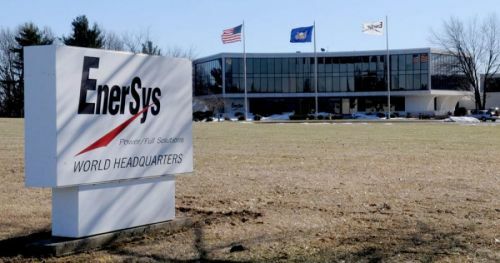 EnerSys, the world's largest manufacturer, marketer and distributor of industrial batteries, has completed its acquisition of ICS Industries.